Description Overexposed or faded at top. 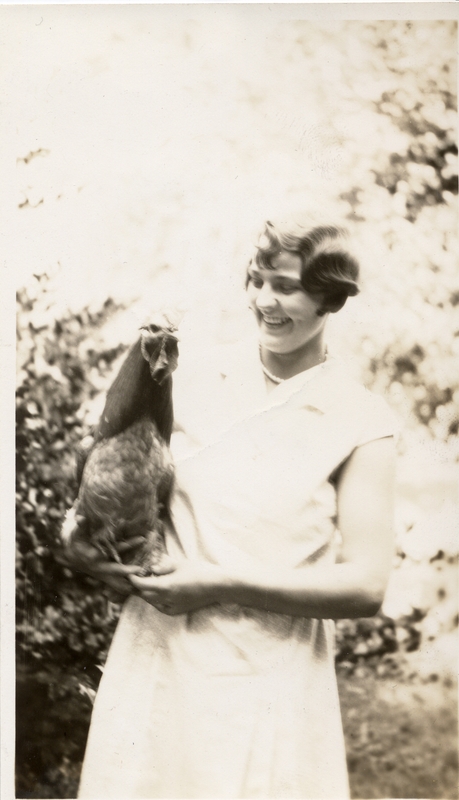 Barbara Kruse had a pet rooster. Physical Description H 5 1/2"" x L 3 1/4""